This is the first entry in my new series – Who Sang It Better when I look at different versions of the song and come to my humble conclusion of who sang it better? I’d love to hear from you to see if you agree with my conclusion! I am starting the series off with a classic – Bring Him Home. This song is sung by Jean Val John in Les Miserables. It is sung at the barricades about Marius. Lets start off with Colm Wilkinson who was the original Val Jean in the West End and Broadway and was who the song was written for. He also sung the part in the 10 year anniversary concert. This video is taken from the 10 year anniversary concert. If you are who the song is written for then it should sit perfectly in your range and show off your voice – as it does. However it’s not just that with Colm- his utter immersion in the character and anguish is so clear. To me the end note that Colm hits is pure passion and held perfectly. Lets next turn to Alfie Boe whilst we are looking at the anniversary concerts who played the role in the 25 year concert at the 02. 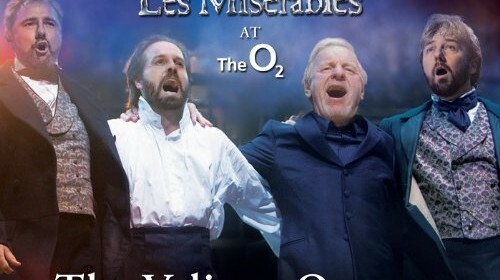 Alfie Boe has a very different style to Colm Wilkinson, much more operatic. I am a massive Alfie Boe fan and the tone in his voice is so rich in this song but I do think the operatic sound means some of the variety of emotion is lost, although there is that additional strength there. Colm pips Alfie to the post…..just. I love John Owen-Jones passion at 1:20- 1:40 – his voice just soars and those long notes are held with such intensity I wanted to rewind it. It pains me to say it but I do actually prefer John Owen-Jones over Mr Boe, however Colm is still in the lead for me. One of the other more famous Val Jeans is Simon Bowman however I have been unable to find a good enough video to put on here. You can however hear him singing, along with the 3 stars above in the below video – from the 25 year anniversary concert. Off course Hugh Jackman played Val Jean in the 2012 film ….. Normally i adore Hugh Jackman and I appreciate that he is a theatre talent in his own right, not simply a Hollywood actor but I find his phrasing odd and to be honest slightly repetitive. The final note to me rather than soaring sounds strained. I do love Hugh Jackman in this film as Val Jean but purely on this song when put him up against the rest of the Gentlemen above they simply outclass him. I have by no means looked at all the good, let alone great Jean Val Jeans but I’m keen to hear your thoughts on the above as well as all those I haven’t included. So in my humble opinion I would say in this case, the original is best and Mr Colm Wilkinson still reigns supreme. While I love all of these performers and they all have their merits, for me John Owen Jones sings the song perfectly, and is also a fabulous actor in the role. We can’t any more on You Tube see Alfie Boe sing Bring Him Home in the 25th Anniversary performance at the O2 – just a snippet remains. It was taken off line by Universal when the film came out. The performance on here at the Mormon Tabernacle was a concert performance as was the O2, and both brought the audience of thousands to their feet and for many it was a defining moment. I wish we had the chance to see online Alfie sing it in the true context of the show as he is doing currently on the Broadway stage where he will be at the Imperial Theatre until the end of February. This is one of the most moving performances ever given, of this song and the role of Jean Valjean. Grown men have commented that they have seen Les Mis many times but this was the first time that they have been moved to cry. It is a beautiful song and Alfie Boe, in my opinion, sings it as it was truly meant to be sung. I too am a massive Alfie Boe fan so may be biased, but Colm Wilkinson’s version feels artificial to me. His hands folded in prayer at the end every time appears especially planned and detracts from his voice. You can see Alfie get into a “bubble” and lose himself. All of the above fantastic. None of them come close to Ramin Karimloo though! Colm Wilkinson is ValJean. No one can hold a candle to his perfect pitch and the sustained last note in Bring Him Home. Tears flow every time I listen to his solo performance. What a God given talent!! Thank you for sharing this talent with everyone. I have lost a child who has not come home. Colm Wilkinson is realistic in expressing this desperate plea. No other singer’s rendition comes close. Nick Cartell did an amazing job as Valjean, just saw his performance a few days ago.